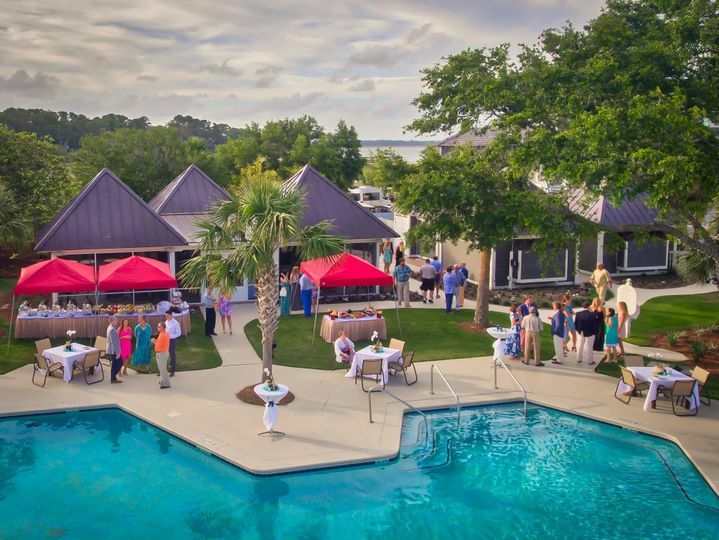 Haig Point Club is a wedding venue on Daufuskie Island, South Carolina. 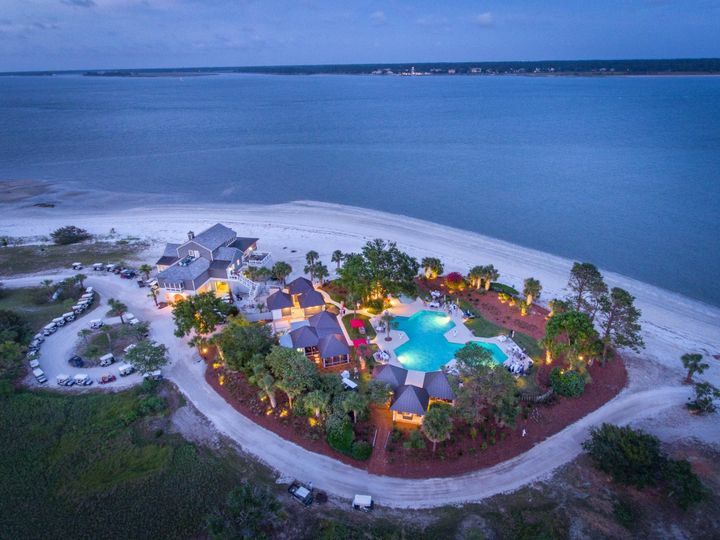 Haig Point is a historic and private community on Daufuskie Island. The club was founded in 1986 and features less than 300 homes on 1,050 acres of land. 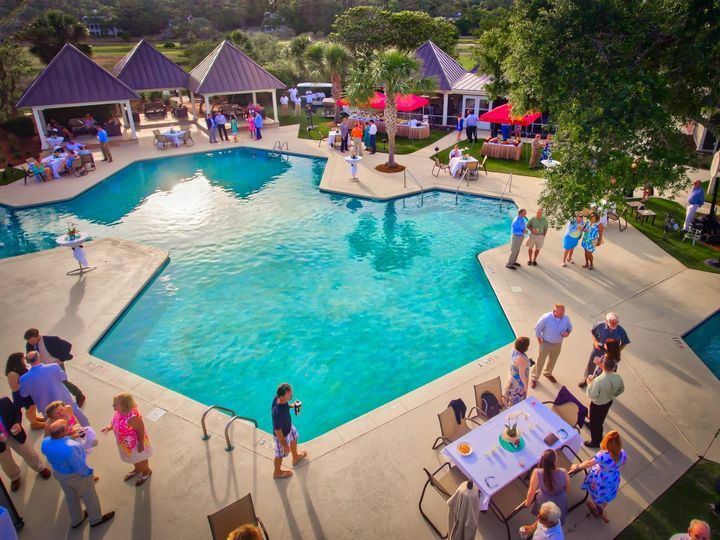 Haig Point Club has stunning views of the Atlantic Ocean, Calibogue Sound and Cooper River. They are located between Hilton Head Island, South Carolina and Savannah, Georgia. The island is only accessible by private ferry departing from Hilton Head Island. Their are limited cars on the Island, as golf carts are the main mode of transportation. Haig Point Club has a variety of venues to host your wedding events. 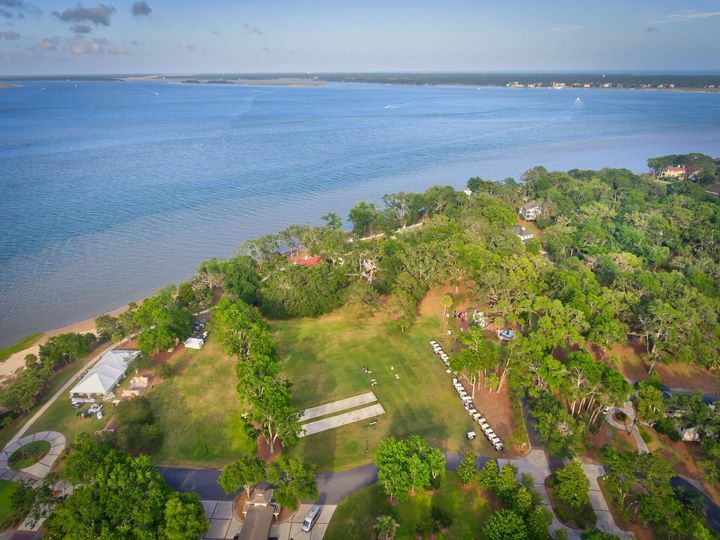 The Lighthouse and Lawn is a historic 1873 lighthouse with stunning views of Calibogue Sound. 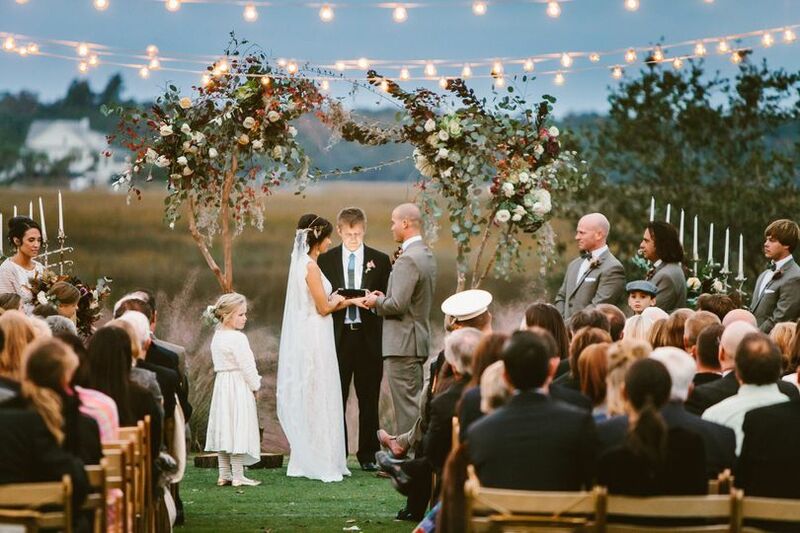 The Lighthouse can serve as a bridal staging area. It is a spectacular space that is private and can host a wedding of any size. The Tabby Ruins Lawn is a large lawn surrounded by Calibogue Sound, Strachan Mansion, croquet courts and the historical Tabby Ruins. It is a scenic outdoor area with room for their large white tent that expands up to 75 feet by 40 feet. The Beach Club and Private Beach is an outdoor setting that features a resort-style pool, cabanas and a screened in lounge and bar. 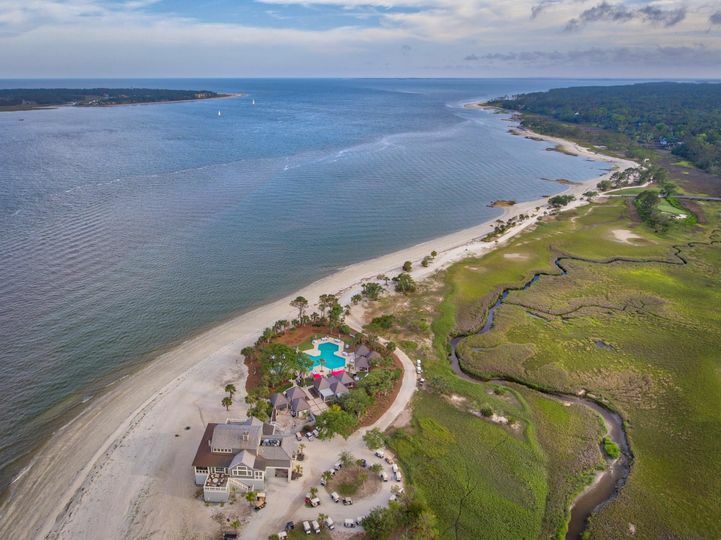 It has awesome views of Calibogue Sound, a boardwalk to the beach, bathroom facilities and a sound system. The Daufuskie Main Dining Room is located on the second floor of the clubhouse and is more than 2,000 square feet of space. The room is the largest indoor space Haig Point has to offer. It has stunning views of the fairway and features two fireplaces and an outdoor veranda that is the length of the dining room. 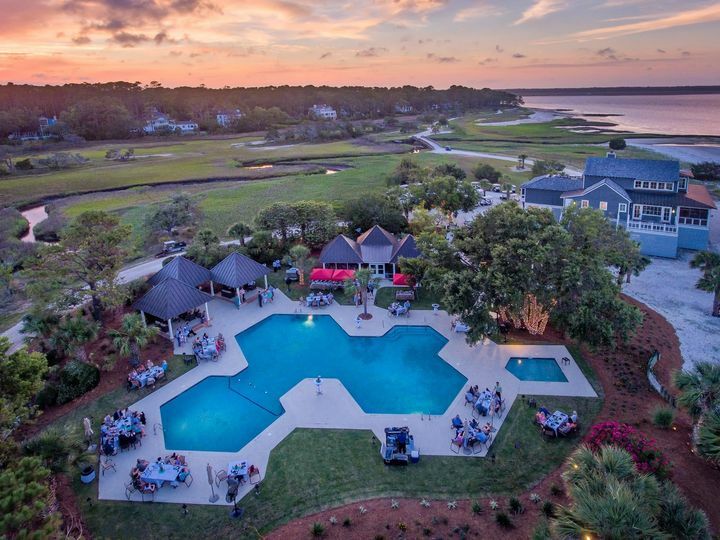 The Calibogue Club is closest area to Calibogue Sound and has unobstructed views of the Harbour Town Lighthouse. The restaurant has two floors, three porches and two side sun decks. It is a great space for cocktails before a seated dinner. The second level of the club accommodates up to 30 guests for a semi-private dining experience and is elevator accessible. 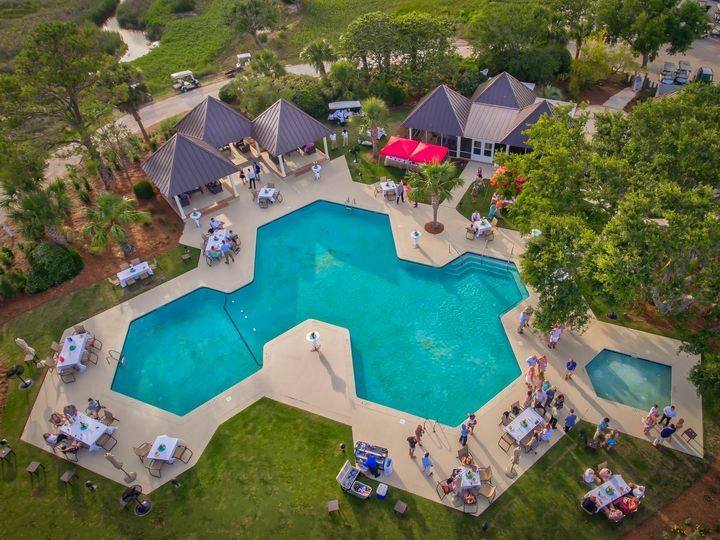 Haig Point Club has overnight accommodations for you and your wedding guests in several areas. The Strachan mansion is a historical home that was barged from St. Simon’s Island in 1986. It has views of Tabby Ruins Lawn and the ocean. It features a pub, store, game and TV areas, billiard room, sunroom and four guest suits on the second floor. Haig Point Lighthouse is a completely restored lighthouse that is listed on the National Register of Historic Places. It features two rooms, a kitchen, dining room, and porch with views of Calibogue Sound. 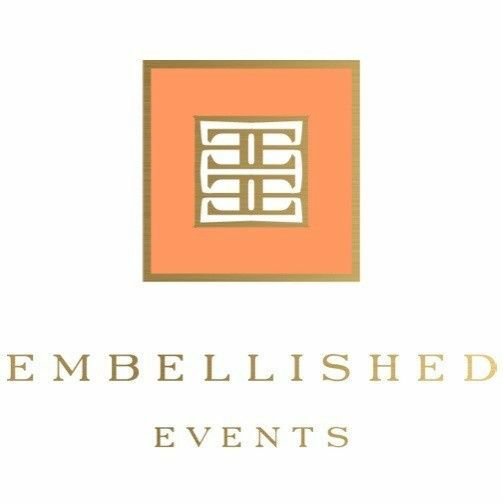 Private member homes are also available for rent during your wedding events. Homes range from two bedroom villas to five bedroom mansions. 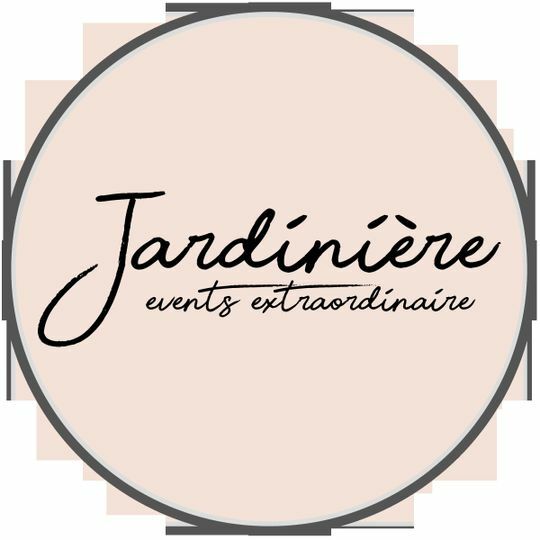 Their event planners work with you to arrange all your wedding details, work with vendors and plan overnight accommodations. I don't even know what to say about our experience with Haig Point. 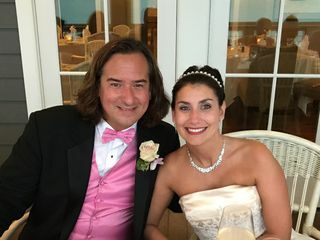 My husband's family has a house on the island, and he also proposed there, so we knew immediately that's where we wanted to get married. Castrice Aiken, Chef Jim McLain, and Jamie Kinard, all took care of us so beautifully. Castrice is so amazing at her job, and when I had no ideas, she gave me the best ones. 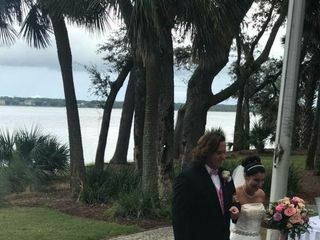 Our wedding was beautiful, she coordinated with all outside vendors to make sure they got to the island, and she was just so fun to work with. She was there until the end of the night, making sure everything turned out, and boy did it! Chef Jim is also always such a pleasure. He really takes pride in his food, and it shows, and he always has a smile on his face. My mother-in-law has numerous food allergies, and he took care to ensure that she had a meal just as amazing as everyone else, and even made her a dessert. I believe he also helped put down our dance floor! And Jamie really took care of our guests. 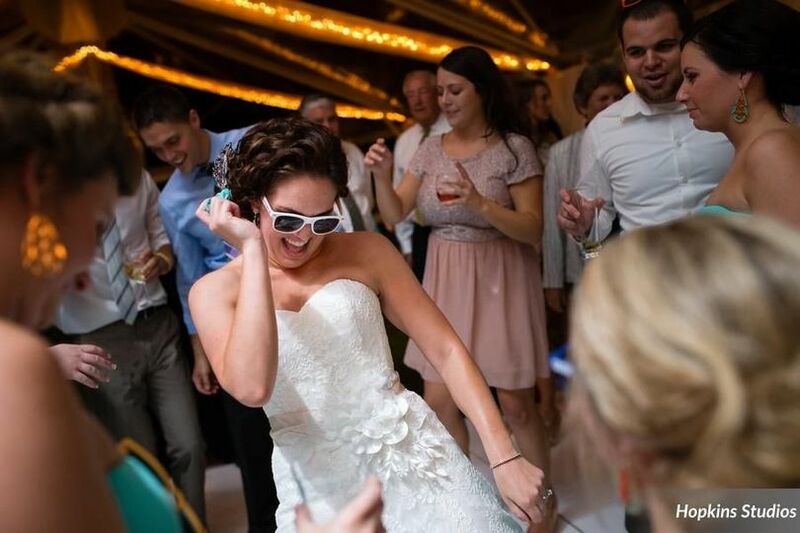 I cannot imagine juggling that many people coming onto the island, dealing with housing, carts, etc., but I know that she handled it all so well. 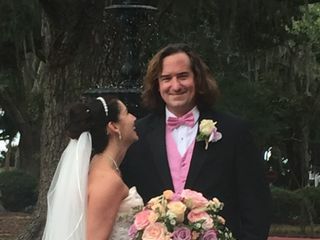 Not only did my husband and I have a fabulous time, but all of our guests did as well. I know it would not have been as amazing if it weren't for these 3, and everyone else behind the scenes, including some amazing bartenders! It could not have been a better day. 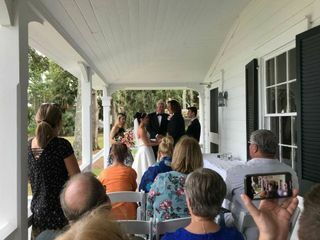 My husband and I had a beautiful wedding at the Haig Point Lighthouse on September 23, 2018. 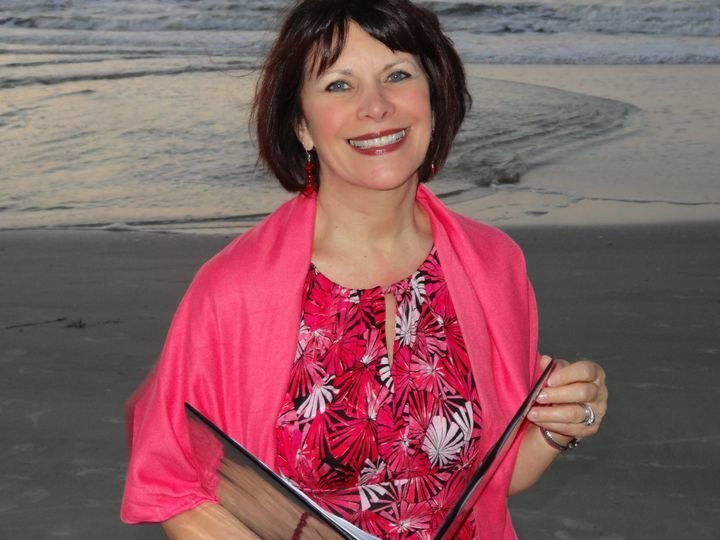 Our wedding planner, Nancy Normile, was a pleasure to work with and went above and beyond to make our day special. Even when rain threatened to throw off all of our plans, Nancy quickly came up with a Plan B on the lighthouse porch that ended up being perfect. Would highly recommend Haig Point for your wedding venue and Nancy as your planner. We are already planning a return visit for our one year anniversary. 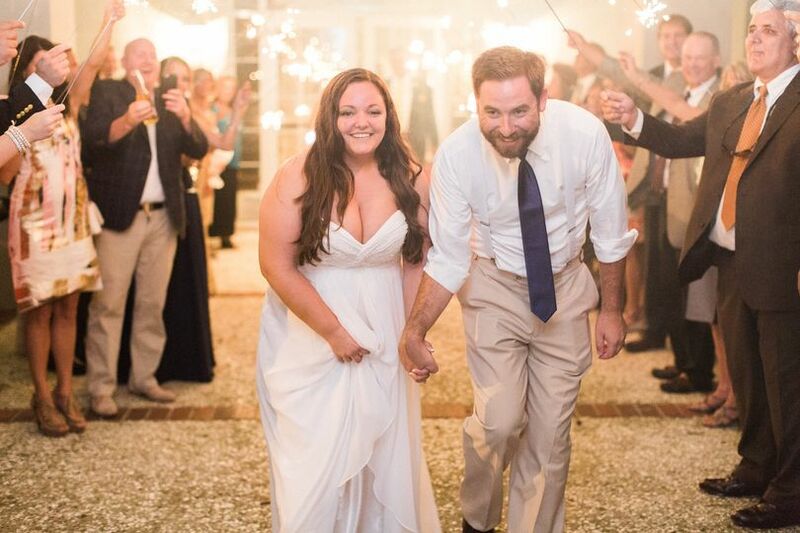 What an unforgettable night, not just for the bride and groom, but for every guest that attended. Our guests still talk about the weekend!!! Haig Point is delighted to spread the love to our WeddingWire couples by offering a 10% discount on our ceremony and reception packages! We love working with Haig Point!! 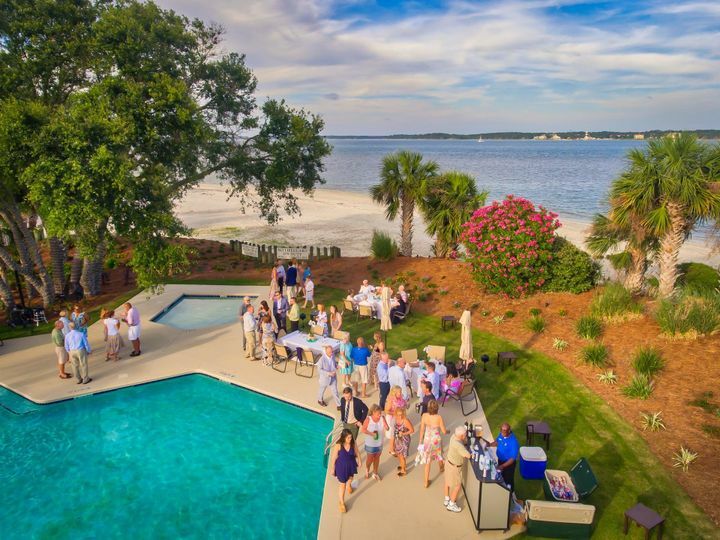 It is such a gorgeous venue, and Daufuskie Island is such a neat place to visit!! We look forward to working there much more in the future!! Kassie and the team at Haig Point were a joy to work with. Their staff is polite, professional and are always willing to assist with a smile on their face. The level of service is top-notch and one I am proud to recommend to my clients. 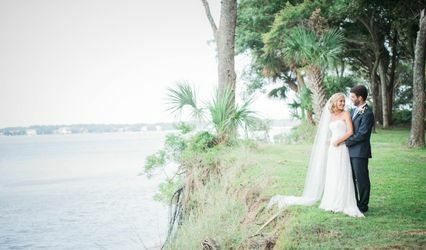 I highly recommend Haig Point as a destination wedding venue in Hilton Head, SC.